All homes currently listed for sale in the zip code 33445 as of 04/21/2019 are shown below. You can change the search criteria at any time by pressing the 'Change Search' button below. 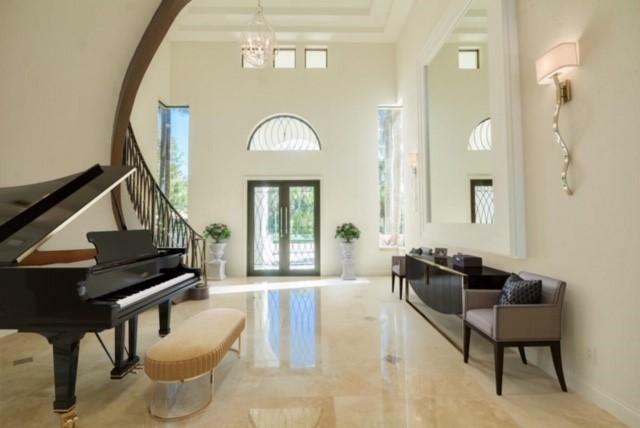 "This majestic 6 bedroom, 7.5 bath 10,903 +/- total sq. ft. Montecito inspired estate is situated on a serene one acre +/- lakefront lot in exclusive Foxe Chase. Enjoy stunning lake views from nearly every room in the residence, including the paneled library with fireplace and the serene office adjacent to the master bedroom. The impressive, natural light-filled kitchen touts white wood cabinetry, quartz countertops, and two large islands. Appliances include Subzero refrigerator, Thermador gas cooktop and double oven, two Bosh dishwashers,and a U-Line wine cooler. The kitchen is open to the airy family room which has a wall of windows showcasing the lake views and french doors leading out to the lakeside loggia and pool area. A contemporary"
"Acquire the largest and most unique home in Delaire Country Club. 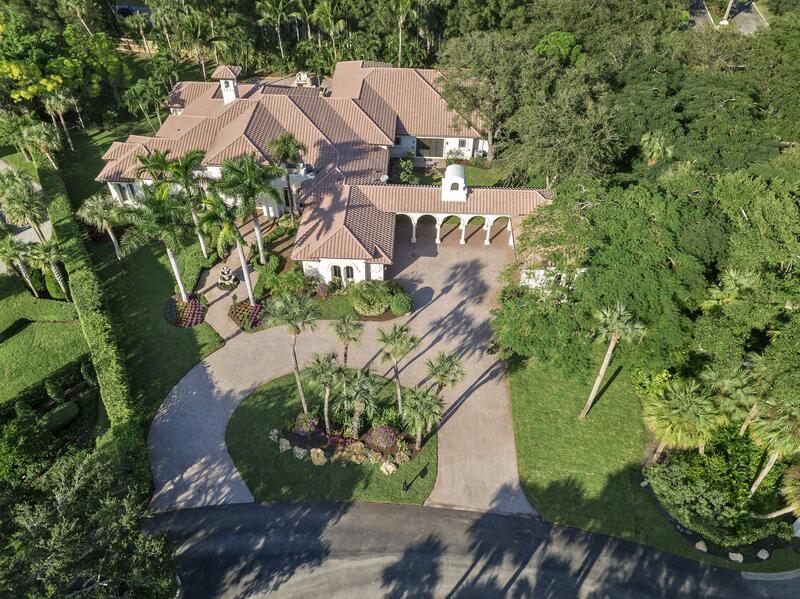 Built on three lots, this one-acre estate features ceiling & molding detail that cannot be imitated. Floors were carefully designed using custom wood, marble & tile. Enter through the enormous, wood-doors entrance and immediately look out to the resort-style, waterfall pool. Half-bath upon entrance on the right. Find your way the master suite quarters where you will find an office surrounded by dark wood built-ins. Find a private gym and technology closet as well. The bright & open bedroom features small, cozy sitting area upon entrance and brightly lit, windowsill sitting. His & Her walk-in closets and bathrooms. The wide living area features electric opening curtains and electric fireplace." 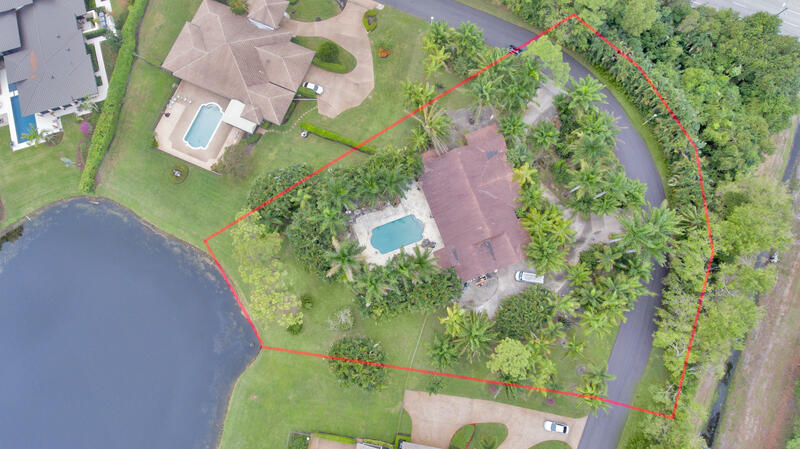 "BUY OPPORTUNITY IN EXCLUSIVE FOX CHASE - OWN YOUR PERSONAL RESIDENTIAL COMPOUND - THIS RESIDENCE IS PRICED UNDER MARKET VALUE IN THE EXCLUSIVE 44 GATED COMMUNITY OF FOXE CHASE IN EAST DELRAY BEACH - The 1.2 acre single story residence contains under air over 6,500 square feet of upscale living. A triple split floor plan with 6 suite sized bedrooms each with their own bathrooms for a total of 6.5 baths plus an executive office. The guest area includes room for your own home theater or game room. The oversized master bedroom feature a large open area that can be used for a separate gym or sitting area, 2 oversized walk in closets along with his and hers master baths." "Come view this serene oasis where you feel as if you are in your own private resort. A custom lakefront estate completely renovated with modern design. Nestled on 1.1 acres in Foxe Chase, a private enclave of 44 homes. Featuring 5 bedrooms & 7.1 baths & state of the art media room!! Chef's kitchen features custom floor to ceiling cabinets, huge island & every Wolf/Sub-Zero appliance you could desire. Luxurious master bedroom with custom his & her closets. The master bath is designed as your own tropical paradise. Gorgeous pool with swim-up bar & infinity 12 person spa. Lush landscaping with gardens & private dock. This masterpiece is like none other...built with the utmost care & attention to every detail. Featuring the finest in quality & innovative design...a class all in its own!" 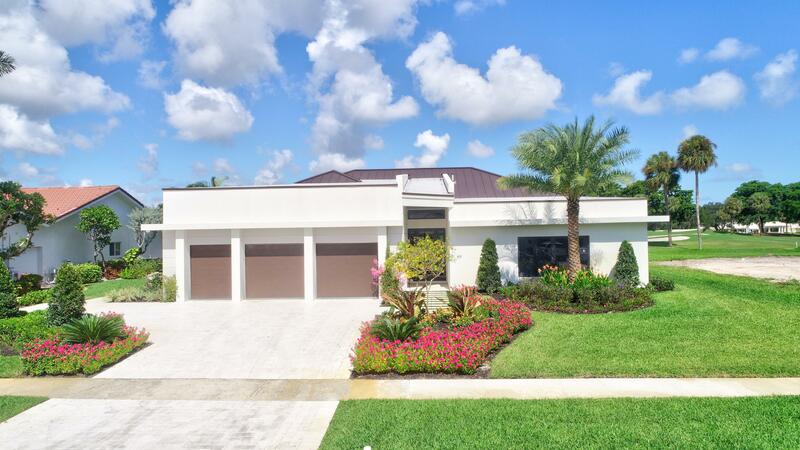 "Immaculate, stunning home with gorgeous panoramic golf views in highly desirable Delaire Country Club. This grand residence was carefully crafted & constructed with a classically inspired design blurring the lines between art & architecture. 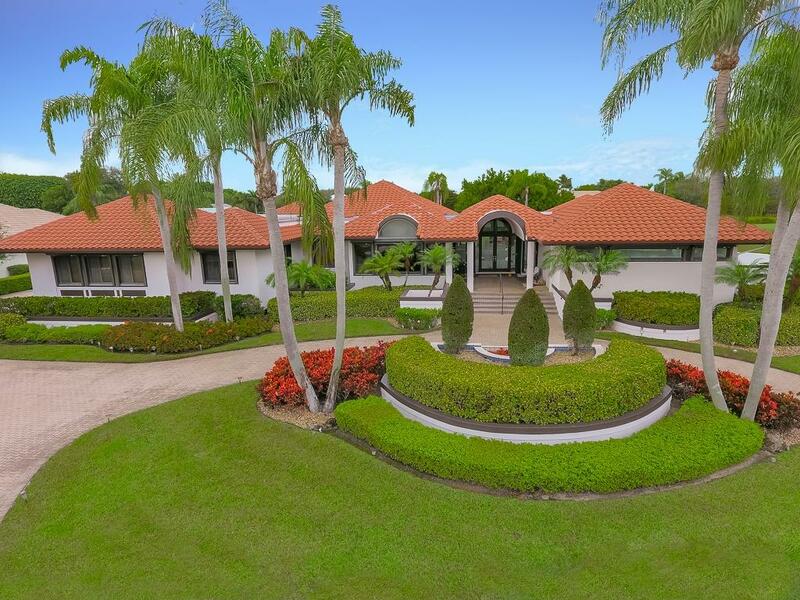 You begin with a stately approach with a utilitarian travertine u-shaped driveway to a gated front courtyard, with tropical landscaping overlooked from the romantic second floor balconies. As you enter the dramatic foyer you are greeted with a soaring, coffered, two story ceiling living room specifically designed for elegant entertaining complete with a stylish wet bar & a picturesque, Sunny south west exposure with walls of windows and innovative Nanawall 10' doors opening to covered lanai with phantom remote controlled automatic screens"
"Stunning and breathtaking water and golf views from this model like move in ready home. Artistic design with neutral palette harmonize through out this exquisite residence. This bright open floor plan epitomizes today's modern living boasting volume ceilings, floor to ceiling window with panoramic views. Large chef's kitchen with stylish backsplash, island, stainless appliances, hallmarked by an elegant butler's pantry with a wine refrigerator, walk-in pantry for additional storage, while opening to a beautiful covered lanai, complete with retractable awning, and a striking summer kitchen overlooking resort style pool surrounded by gorgeous travertine decking. Graciously proportioned bedrooms include a luxurious master retreat with dual master bathrooms." 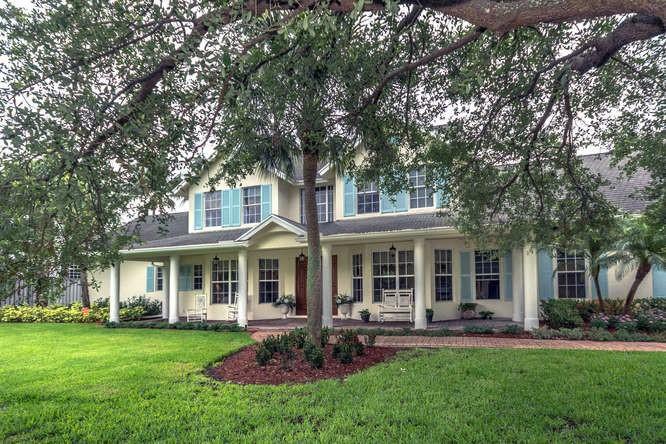 "4920 Cherry Laurel Lane is a custom-built, breathtaking 4,700 square foot home. This brand new construction includes a 3-car garage, 5.1 baths, 4 bedrooms and an office. Each bedroom has an ensuite bathroom. The moment you find yourself standing on the brick paver driveway, you know this is your next home. The living area is illuminated with natural light through the brilliant 10' impact windows. The plan is modern, as it is both a split-bedroom and open-floor.The impeccable kitchen is fit for the Food Network itself. Adorned with superior Bosch appliance package, if you can dream it, you can make it in this kitchen! Spend the day cooking with the 36'' natural gas cooktop and swing-door, double wall oven; or even stay in bed and have your coffee ready for you by the time you get to the"
"An architectural gem! Enjoy breathtaking lake & multiple fairway golf course views from this builder's own private custom estate home. 5 BR, 6.5 BA. This fully re-built designer beauty boasts upgrades galore! Exquisite designer finishes throughout, volume ceilings, baths en-suite, separate his/hers master baths, a exercise room, gourmet chef's kitchen, wet bar, hardwood floors, granite, marble & more! The split floor plan offers privacy for all. Delaire features 324 custom homes surrounding a magnificent 27 hole championship golf course with no tee times. 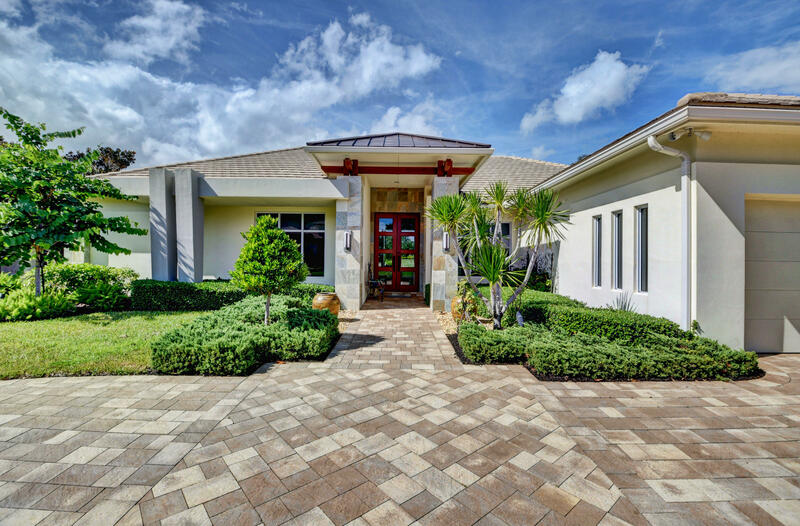 A newly built state of the art clubhouse houses a 16,000 sq ft fitness center, resort style pool, 8 Har Tru tennis courts & superior dining cuisine. Generous no charge family use policy!" 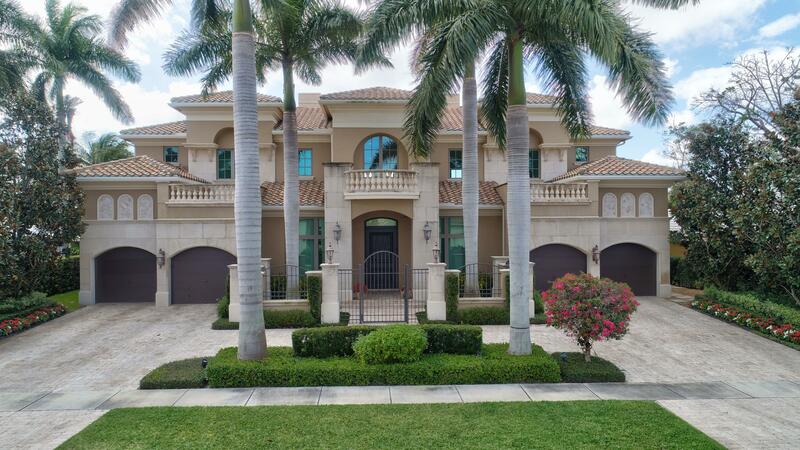 "In the Cul-de-sac of this exclusive gated neighborhood find this beautiful custom built Mediterranean single family pool home with a galore of upgrades. Feels like country but just minutes away from I-95, downtown and the beach. Well-appointed - Crema Marfil marble and Brazilian Cherry hardwood floors, beautiful decorative Corinthian cast stone columns inside and out, 10 ft. ceilings throughout * Impact windows and doors * Living room with custom wood-burning fireplace with gas connection * Custom gourmet Kitchen with 48'' wood cabinets/light rail molding/indirect lighting with a full granite backsplash, a gas stove, two wall ovens, built-in microwave, Bosch dishwasher * Tray ceilings * Recessed lighting and Custom crown molding throughout the house and gorgeous ceiling in the stair case." "This Custom Renovation is designed by esteemed designer, Marcia Castleman, and being built by Leonard Albanese Builders. 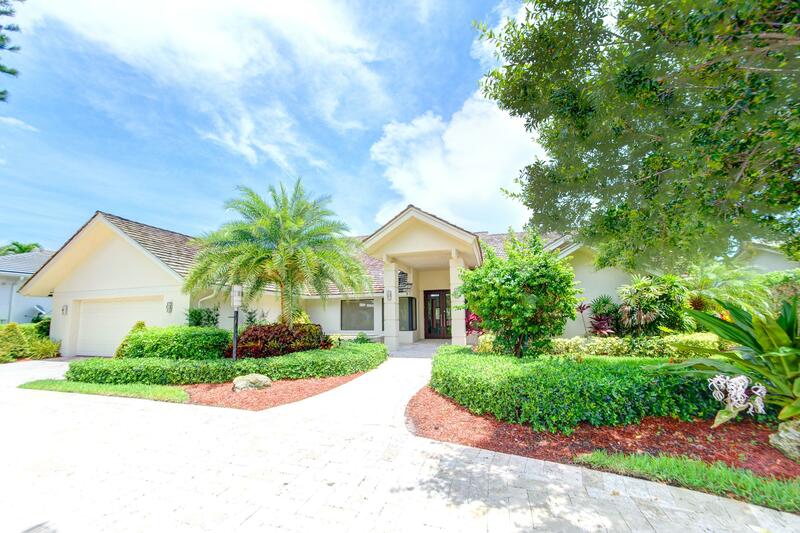 With precise attention to detail and exceptional quality throughout, this lovely estate home boasts 3 bedrooms, each with en-suite baths, an office/den and fabulous lake and golf course views. 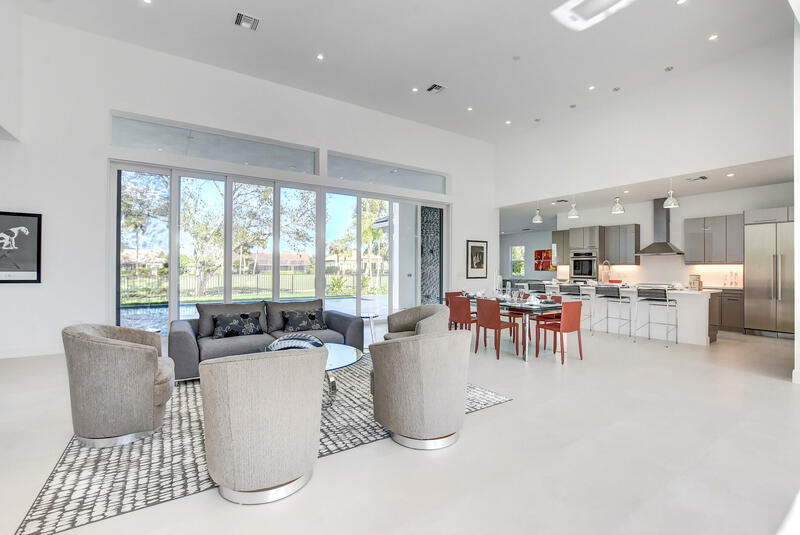 Offering spectacular views and contemporary design, this exceptional property features 3,555 living sq ft with 3 bedrooms, 3 1/2 baths plus office/den. Plans are completed should you want to add an optional 4th bedroom and bath." "Kingsland offers the privacy of a small estate community, yet the convenience of being near all that Delray Beach has to offer and NO HOA. Beautifully situated on one acre of land, this unique completely redone home has 4 bedrooms, 4.5 baths plus 2 separate guest cottages - ideal for visitors, in-laws or a home based business. The main home features large living areas, totally updated kitchen with Sub-Zero refrigerator, Bosch dishwasher, vented gas cook top and gorgeous Quartzite counters. The expansive private courtyard features an elegant pool and entertaining area with summer kitchen. Feel secure with a whole house generator and impact windows & doors. Completing the estate is the impeccable 3 car garage - which can be expanded - and the ability to have a boat and/or RV on the property." "Stunning completely renovated home Situated on a gorgeous lot in highly desirable Delaire Country Club with panoramic views of 4 fairways & fountain views, and the convenience of walking distance to the club house, carefully crafted, stylishly designed with latest technology including today's n Smart home features of control 4 & Sonos systems. You are greeted by 36X 36 gleaming Italian porcelain floors,with bright airy open floor plan, chef's kitchen with stainless JennAIr appliance package, induction cooking, large island, abundance of storage, dining area, dramatic, elegant modern fireplace complementing the high efficiency led lighting, 4 Graciously proportioned bedrooms including a stunning master walls of windows, large opulent master bath with dual sinks"
"***MOVE RIGHT IN!! BRAND NEW CONSTRUCTION AT INCREDIBLE PRE-CONSTRUCTION PRICING!! ***GOLF CART INCLUDED*** Stellar Homes Group exceeds all expectations with this new 4 br, 4.5 ba custom residence with lake, green and golf views in Delaire Country Club. The spacious open floor plan combines beauty & function, creating an atmosphere of luxury and tranquility. Included is a gourmet designer kitchen w/ Thermador stainless steel appliances, induction cooking, smart home technology, hardwood/porcelain/carpet flooring, quartz/granite countertops, energy efficient a/c systems, tankless water heater, & much more! Impact windows, & doors, solid wood cabinetry & Florida Green Smart certification help you rest easy knowing that you are conserving your environment for you & generations to come"
"A Golfer's Dream! Welcome home to this immaculate 5 bedroom plus office, 5.5 bathroom masterpiece on quiet street in sought after Delaire Country Club. Beautiful Golf course views, tranquil pool and outdoor entertaining area. Large master suit and office as well as additional bedroom on first floor. Fully equipped Movie screening room. Gorgeous marble and wood inlay floors, open concept kitchen with stainless steel appliances and gas stove. Delaire Country Club offers 3 recently redeveloped 9-hole golf courses, tennis, pool, clubhouse, gym, five star dining and more. No Tee times, no food minimums, no Green fees for parents, children, or grandchildren. Live the Florida dream!" 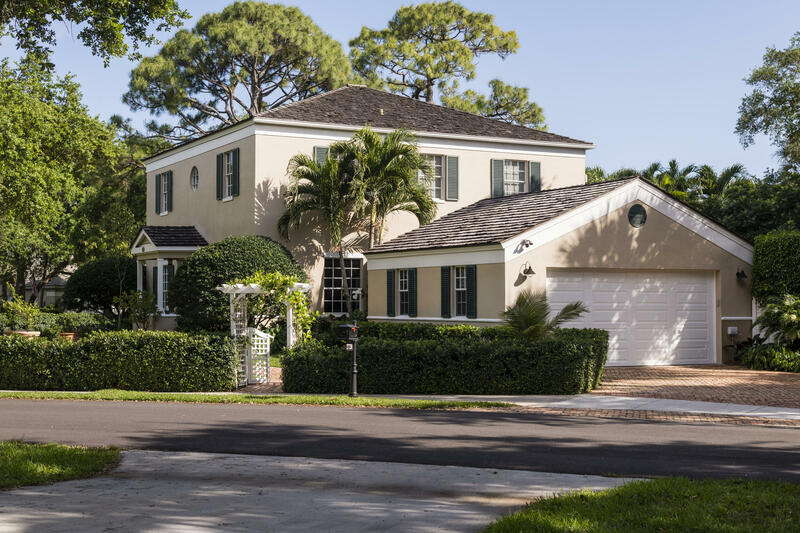 ":Beautiful custom built 2 story plantation home in the heart of Delray Beach. 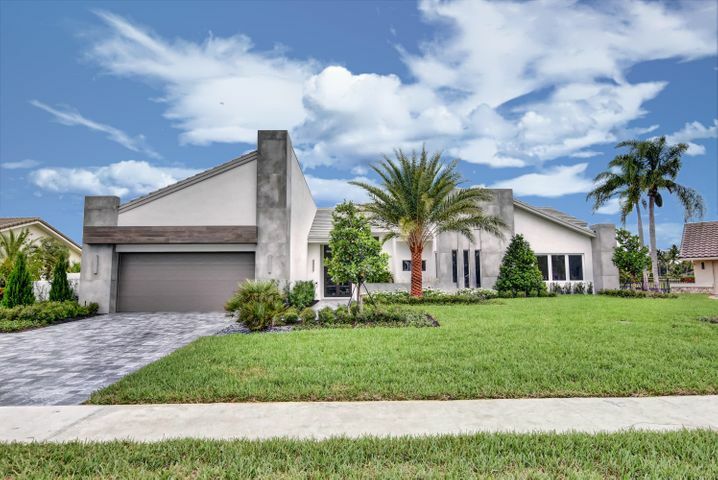 A boutique neighborhood of only 12 homes all on over an acre less than 3 miles from the beach.Large covered paver patio that stretches across the width of the home. Brick paver driveway and 3 car garage. Two story entry way and family room. Large family room with wet bar. Kitchen features a convection double oven,custom refrigerator, GE profile appliances and granite counter tops. Eat in breakfast area with bay windows and window seating.Pool table room can also be used as a den. Huge playroom or large 5th bedroom. Master bedroom features coffered ceilings, large walk in closet. Master bath features double sinks, roman tub and separate shower. Large laundry room with room for storage. 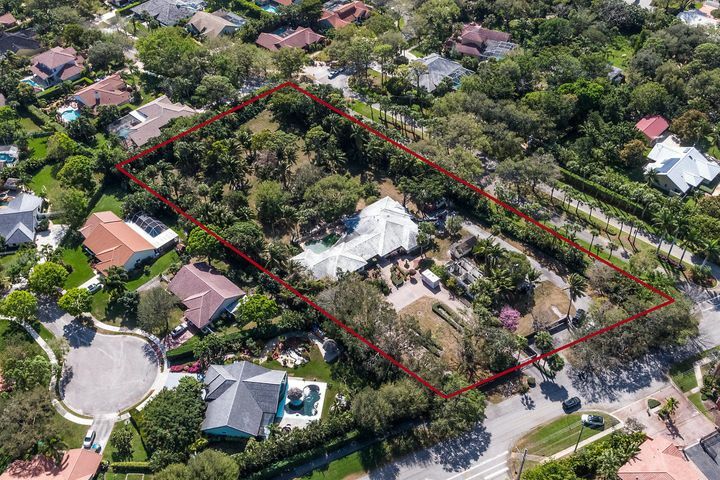 3 newer air conditioning"
"Do not miss this opportunity to acquire the largest and most private lot in seagate country club. Build your dream estate surrounded by mature landscaping, rock and sculptures." "This outstanding, 4 bedroom + office, 5 bathroom, open floor plan home has all of today's fine amenities at an AMAZING LOW PRICE!! 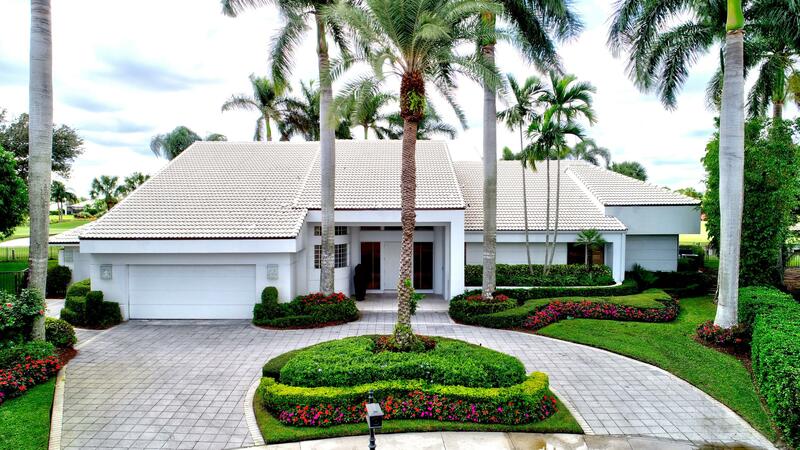 With a wonderful golf course view & high end finishes throughout, gas cooking, a summer kitchen, impact glass, volume ceilings, split floor plan, marble and wood flooring, a generator + so much more, this home is a definite must see! Built for today's easy lifestyle . Delaire Country Club is a private country club where 324 custom homes surround the new 27 hole golf course. Clubhouse boasts a state of the art fitness center, resort style pool, and 8 Har Tru tennis courts. Extended family policy allows parents, children, and grandchildren use of all facilities including golf.Ask about our Realtor Referral fees!" 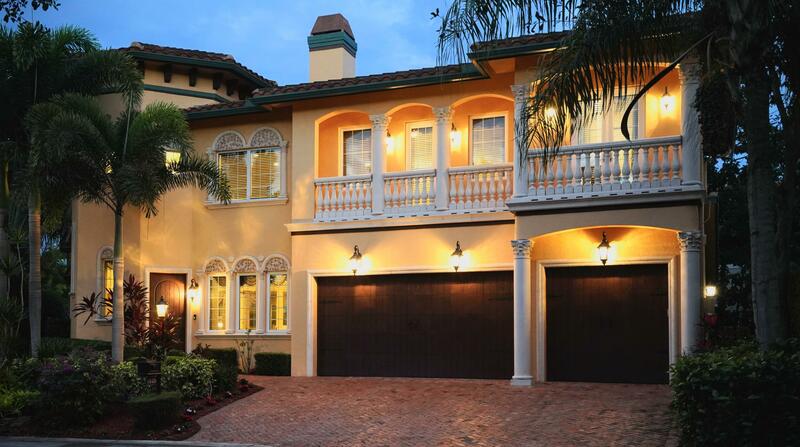 "THIS STUNNING DESIGNER INSPIRED RENOVATION HAS 4 BR + OFFICE W/6.5 BA. SOARING CEILINGS COMPLEMENT THE WIDE OPEN FLOOR PLAN W/ MARBLE FLOORING, IDEAL FOR ENTERTAINING. DESIGNER CHEF'S KITCHEN OFFERS GAS COOKING, QUARTZ COUNTERS, CUSTOM WOOD CABINETS AND STAINLESS APPLIANCES. SOUTHERN EXPOSURE & SUNNY POOL. COMPLETE W/ IMPACT WINDOWS, DOORS, GENERATOR AND MUCH MORE ... HIGH-END DESIGNER DETAILS GALORE!! THIS ONE OF A KIND HOME IS A DEFINITE MUST SEE!! * DELAIRE is a private country club where 324 custom homes surround a brand new 27 HOLE championship golf course with NO TEE TIMES. Generous family policy allows extended family use of all facilities at no charge! 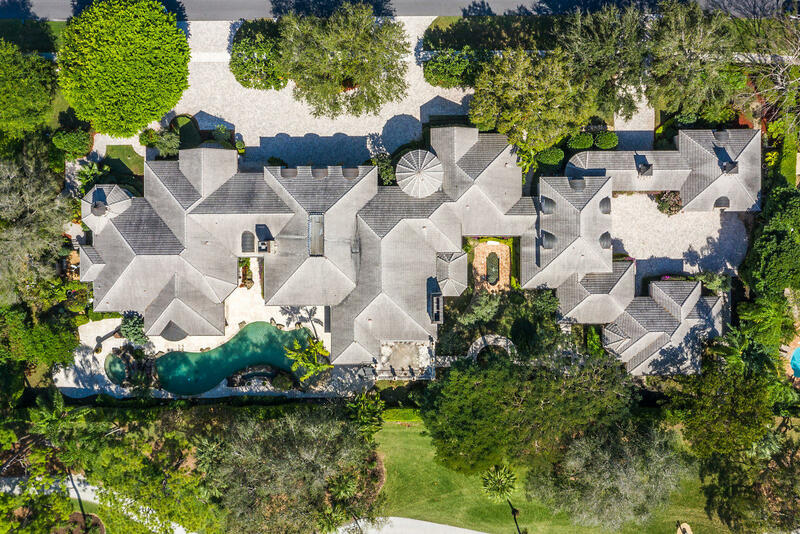 Newly built clubhouse w/ outstanding culinary cuisine, 16,000 sq ft fitness center, resort style pool area & 8 har tru tennis court"
"Sprawling 1-Story Custom Built Residence with 5,300 + living SF situated on a spectacular .63 Acre pie shaped lot! Elevated on Concrete Pilings to create Spanning and Expansive Views of Lakes, Fountain, & 17th Hole! Upgrades: Main Roof Replaced (2016), Flat Roofs (2013), 25K Full House Generator, 2 Propane Gas Tanks, A/C Units Replaced (2014 & 2009), 2 Solar Water Heaters, Rolladen Hurricane Shutters & Partial Impact Glass (FULL HURRICANE PROTECTION), Imported Italian Creme De Marfil 18'' Marble Flooring (main), Bleached Wood Flooring in family room, kitchen & library, Murano Glass Chandelier, Grand Master suite with Marble Bath leading to Wrap Around Deck, Private Outdoor Spa & Oversized Custom Pool with Waterfall accents, Oversized Kitchen with Custom Virticor Cabinetry & Cooktop"
"Inviting, New England style two-story home with great curb appeal in the highly sought after ANDOVER community. Updated, sophisticated home in mint condition with designer finishes, hardwood floors, custom millwork and 10ft ceilings. Entertain outdoors poolside surrounded by a secluded, private and tropical setting.Enjoy the modern chefs kitchen featuring Bosch, Thermador and Jenn-Air appliances. 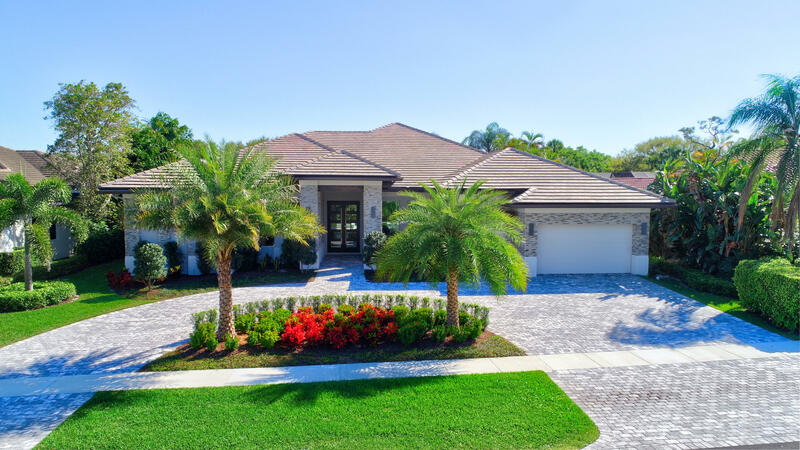 This gated community with mature oak trees includes a children's playground, tennis, bike and jogging trails. Close to vibrant Delray downtown, great shopping, bistros, restaurants and dreamy beaches.Must see!" "One of the best lots in the community. Culdesac, Waterfront, Huge Driveway with a Golf Course View on 3/4 of an acre. Bring your boat; this home has Lake Ida water access. Home addition was completed in 2015 and Full Renovation in 2018 with all impact windows and doors, whole house generator, new salt system and pool pumps. Home has a commercial size heated Pool with Spa and Summer Kitchen. Home has 4 bedrooms, 3 living areas, 2 dining areas, Gourmet Kitchen. Great home to entertain with driveway that holds 10+ cars. Move in ready. Owner is a Licensed Realtor." "Gorgeous renovated 2-story pool residence enjoys exclusive gated community of 8 homes on Private Street. 5 Bedrooms, Office, 4.2 Baths, 3 Car Garage with Circular Drive. 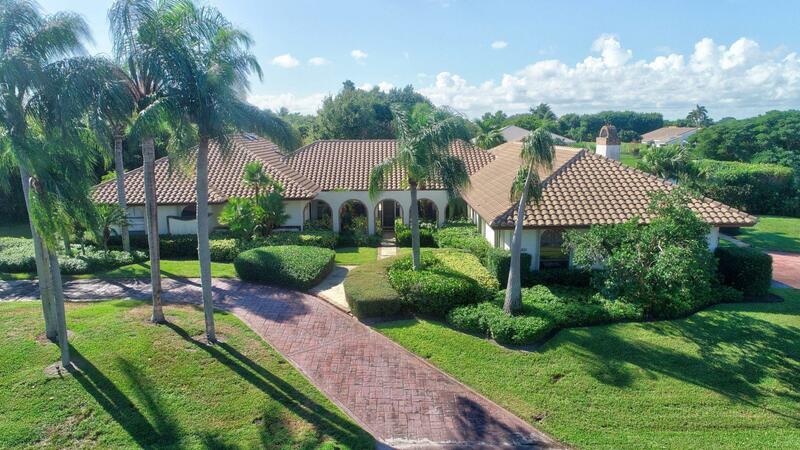 Open concept living highlighted with 24 X 24 marble tile downstairs, 12' ceilings, recessed LED lighting, beautiful trim works, plantation shutters and picture windows overlooking private pool area. 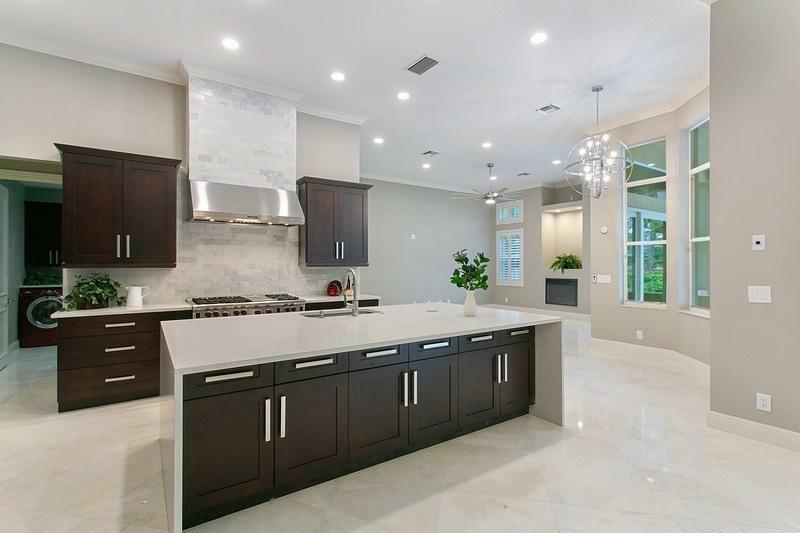 Custom kitchen boasts over-sized quartz island with custom 42'' hard wood cabinets & beautiful back-splash feature, subzero refrigerator, 48'' Wolf Gas Range with 48'' Hood, and SS appliances. Large Pantry & Laundry room with custom cabinets affords extra storage. Formal Living, Dining and Family Room enjoys wet bar and Fireplace."